During your time exploring the state of Western Australia, visit the state capital, Perth. Positioned 7 kilometres east of the central business district, visitors can find the popular neighbourhood of Ascot. No trip to Perth is complete without a day exploring the Kings Park and Botanic Garden and Swan Bells Belltower. Call into Burswood Park and admire this leafy haven, nestled right in the heart of the city. Want to hit the hay near this place? 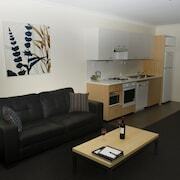 Check out the rates at the Assured Ascot Quays Apartment and Country Comfort Inter City Hotel Perth. Spend a few hours at Peninsula Farm, a historic attraction of some local standing. 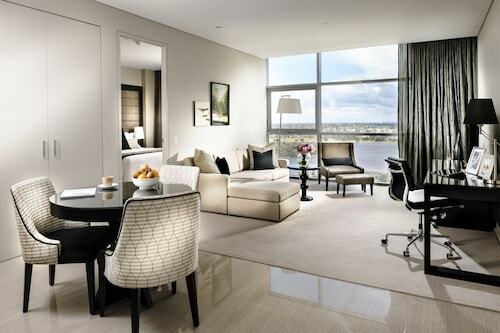 The Crown Metropol Perth and Crown Promenade Perth are your best choices for this site. At Wotif, we reckon you need to spoil yourself every now and then. So if you are travelling to Ascot and you're able to pay a bit more, take a look at the rates at the Best Western Plus Ascot Serviced Apartments. Stopping in at Kart World Belmont is an excellent way to jumpstart your day in Ascot. Just follow the scent of roasting coffee beans! If a snack simply isn't going to cut it, go and check out the impressive menu at Belvidere Pizza. There's something for everyone at this well-patronised diner. If you wouldn't mind a beer or two before you head back to your room, why not swing by The Firehouse Bar & Restaurant? Who knows, the bartender might even be able to give you some tips on what to see tomorrow! If you and your travelling companion can't find the perfect hotel in Ascot, take a look at the Belmont hotels guide. 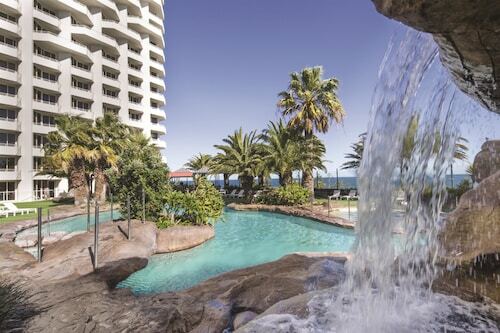 Alternatively, the Wotif Redcliffe hotels guide will get you staying nearby. 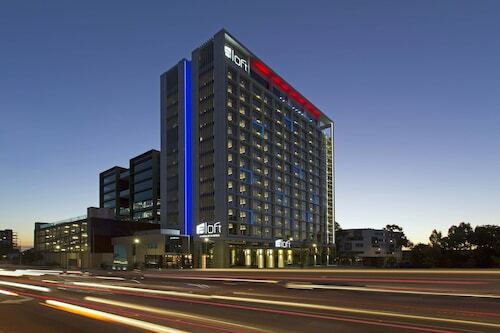 It doesn't matter whether you're only after accommodation, or the whole shebang including excursions, car hire and flights, Wotif can make your Ascot dream a reality. Hotels in Ascot start at AU$118 per night. Prices and availability subject to change. Additional terms may apply.